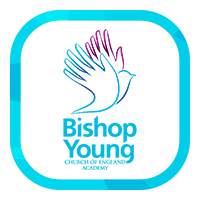 Bishop Young CE Academy is a successful, caring and happy Academy in the east of the City of Leeds. Our students aged 11-19 come to receive an education in which we work together to stretch them academically, support them pastorally and help them to develop socially and spiritually, as expressed in our mission statement. We educate the young people entrusted to our care by giving them a high standard of teaching and setting them appropriate challenges throughout their time with us. We expect all students, whatever their ability, to work hard and achieve their full potential. We expect them to conform to our firm but fair framework of positive discipline, in which we encourage them to take responsibility for themselves; but we deal firmly with those who do not behave appropriately. We nurture our students by providing them with a safe, caring and loving environment in which to develop in self-confidence and self-understanding within the Christian family of the school community. We empower them by giving them opportunities to enable them to recognise their potential and to express this in what they do within the school and in the wider community. The school’s staff do this in partnership with parents, our governors, local churches, the local authority and – most importantly of all – with our students. We know that we need to work together with respect, understanding and trust within the framework of our Christian beliefs and values. 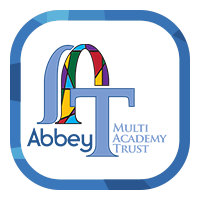 A positive, orderly and inclusive atmosphere and ethos, characterised by shared aims and values appropriate to the Christian foundation of the trust. Strong and positive leadership from all levels of management within the school, beginning with the Principal and Senior Leadership Team. A healthy school within a physical environment which is as attractive and stimulating as possible. High and consistent expectation of all students in terms of attainment, achievement and behaviour. A clear and explicit focus on teaching and learning and sharing of good practice amongst staff. Well developed and manageable procedures for assessing students’ work, setting them challenging targets and reporting the information clearly to students and parents. Opportunities for students to take their own share of responsibility for their learning and its assessment and to take part in the running of the school. 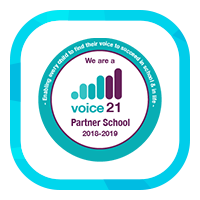 A positive behaviour policy which is implemented consistently by all staff and includes a system of rewards and incentives to encourage students to succeed. A wide range of study support and extra-curricular activities to broaden students’ interests and experiences. High levels of parental involvement in the education of their children and in supporting the aims of the school.